Ben is one of the first of three apprentices that joined Muckle in September 2017 through the NESA scheme. Ben came straight from sixth form and has no prior legal education but is enjoying the challenges, studying and working in a brand new profession gives. 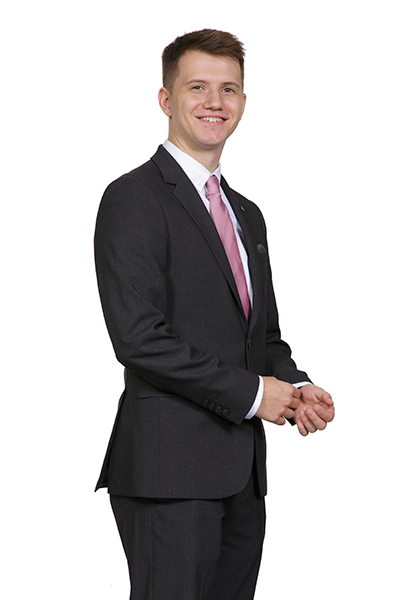 Ben’s first seat is within the Real Estate team, where the transition from sixth form has been extremely easy to make due to how friendly and welcoming everyone has been. Ben’s favourite way to spend time outside of work is watching international rugby union. He experienced his first trip to Twickenham recently and it made a nice change watching England beat Scotland there, rather than at Murrayfield. It was possibly the best day of his life. Ben also enjoys maintaining his fitness at the gym and walking in the Lakes.